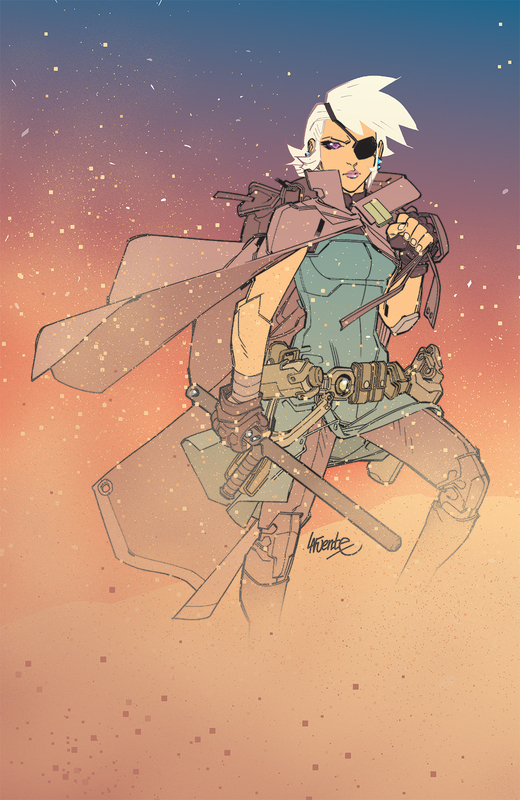 Simon Spurrier and Jeff Stokely have paired their talents in the past for Six-Gun Gorilla from BOOM! Studios. That series was met with the requisite level of acclaim and praise, so teaming the two of them up for another go-round only made sense. And that's exactly what BOOM! Studios is doing in The Spire, a new series that features the top cop of a sprawling structure with over a million inhabitants dealing with a triple homicide on her hands—and a new boss who can’t stand her. 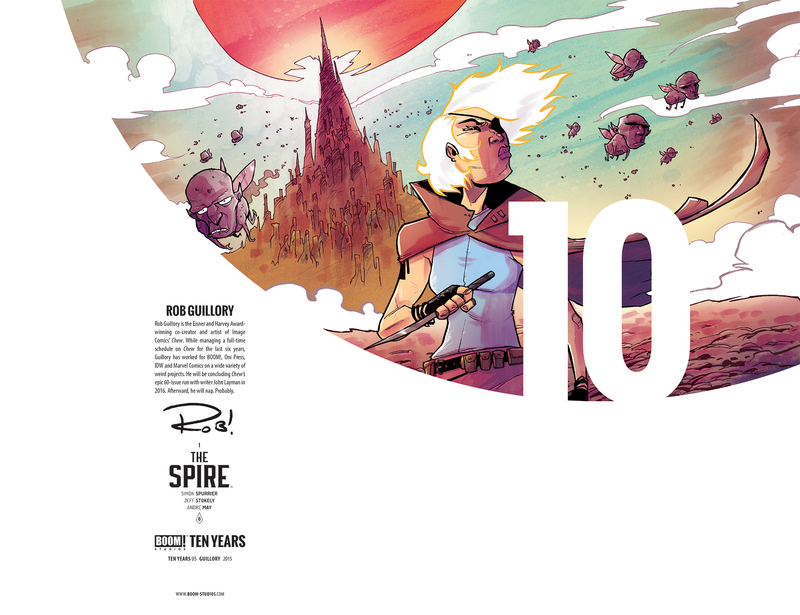 The Spire #1 (of 8) arrives in comic shops on July 1st with an oversized 28 pages of story and a main cover by Stokely for the price of $3.99 under Diamond order code MAY151076. Also available in a limited quantity are a Jackpot variant cover by Aaron Conley, a 10 Years incentive cover by Rob Guillory and a retailer incentive cover by David LaFuente. The Final Order Cutoff deadline for retailers is June 8th. June 5, 2015 (Los Angeles, Calif.) - The top cop of a sprawling structure with over a million inhabitants has a triple homicide on her hands—and a new boss who can’t stand her. 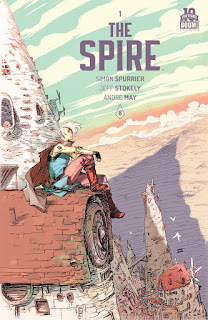 That’s the premise behind The Spire, a new limited series from Simon Spurrier and Jeff Stokely, the team that created the critically acclaimed BOOM! Studios series Six-Gun Gorilla. 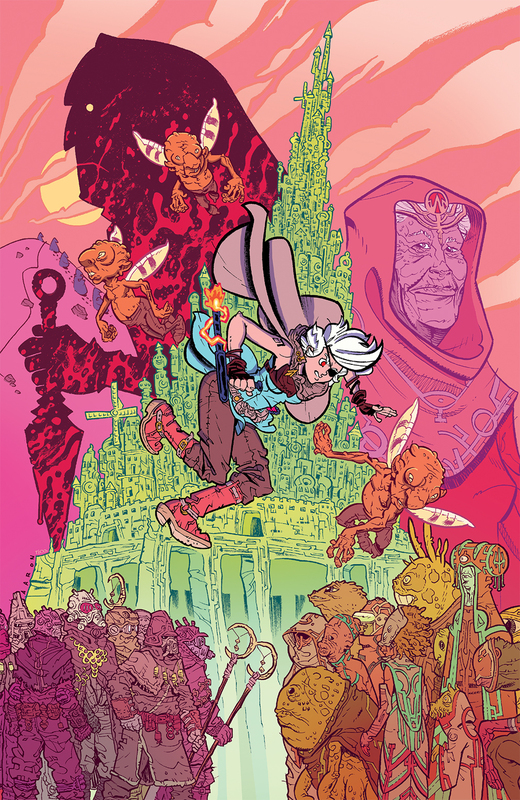 The duo reunites to create a murder-mystery set in a fantastical apocalyptic future in the vein of East of West and Jim Henson’s The Dark Crystal. The Spire #1 (of 8) arrives in comic shops on July 1st with an oversized 28 pages of story and a main cover by series artist Jeff Stokely for the price of $3.99 under Diamond order code MAY151076. Also available in a limited quantity are a Jackpot variant cover by Aaron Conley (Sabertooth Swordsman), a 10 Years incentive cover by Rob Guillory (Chew), and a retailer incentive cover by David LaFuente (Batman Eternal). The Final Order Cutoff deadline for retailers is June 8th. Not sure where to find your nearest comic retailer? Use comicshoplocator.com or findacomicshop.com to find one! It’s also available for order directly from boom-studios.com.